Lavenham in Suffolk is a medieval town, full of amazing buildings, including the magnificent parish church and the Guildhall of Corpus Christi. The town has one of the highest concentrations of medieval buildings in England. It’s appeared in movies and television shows, including Harry Potter and Lovejoy. The crooked beams, leaning buildings, and first floors overhanging the pavement give it character and charm. After the Great War, there was a period of depression as the UK was flooded with cheap imports. Lavenham’s industries, which included cloth and wool, suffered from supply problems and slowing demand. Many of the historic buildings were falling into disrepair, with some being demolished or taken down and sent to the USA where wealthy buyers rebuilt them on American soil. The character of the town started to suffer, so the Lavenham Preservation Committee was formed to fight for the town to be recognised as a place of national importance. 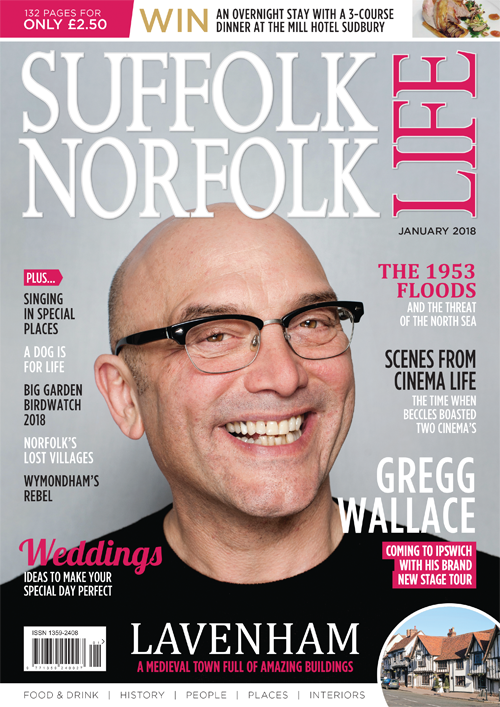 Their campaign was a success, ensuring the survival of many historic buildings, and in the 1930s the town got electricity and piped water, which improved the quality of life for people living there. After the Second World War Lavenham became a tourist attraction. Retired folk and professionals moved there, ploughing money into the town and rescuing the ancient housing stock from decay. 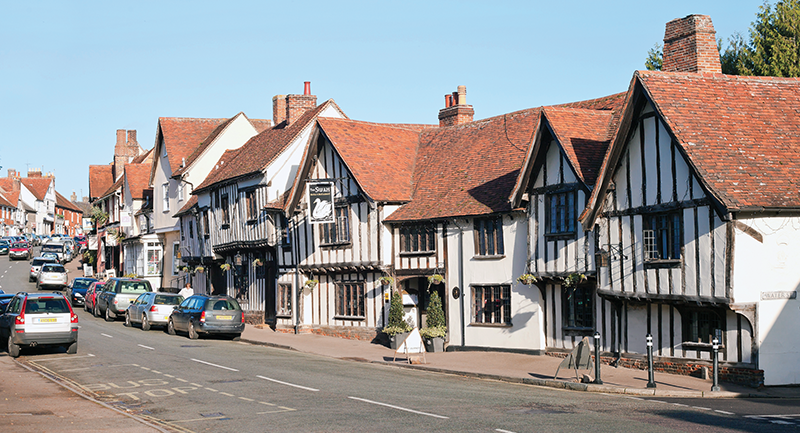 Today there are over 300 listed buildings in Lavenham, many dating from the 14th century.